This issue features essays on the Jageshwar Valley, which contains the largest number of Hindu monuments and sculptures in the Himalayan terrain; the art-historical significance of the publication of O Sech’ang’s History of Korean painting and Calligraphy under the title Biographical Records of Korean Painters and Calligraphers; central Asian paintings in the National Museum of Korea; a spotlight on Zhang Jin and the Ming Painting Academy; and a study of the Japanese painter Kitagawa Tamiji’s exploration of self and other through his work. Contributors include Nachiket Chanchani, Sherry Fowler, Kim Haewon, Cheon Juhyun, Nathaniel Kingdon, Jungsil Jenny Lee, Park Seungwon, Jerome Silbergeld, Hong Sunpyo, Hou-Mei Sung, and Bert Winther-Tamaki. 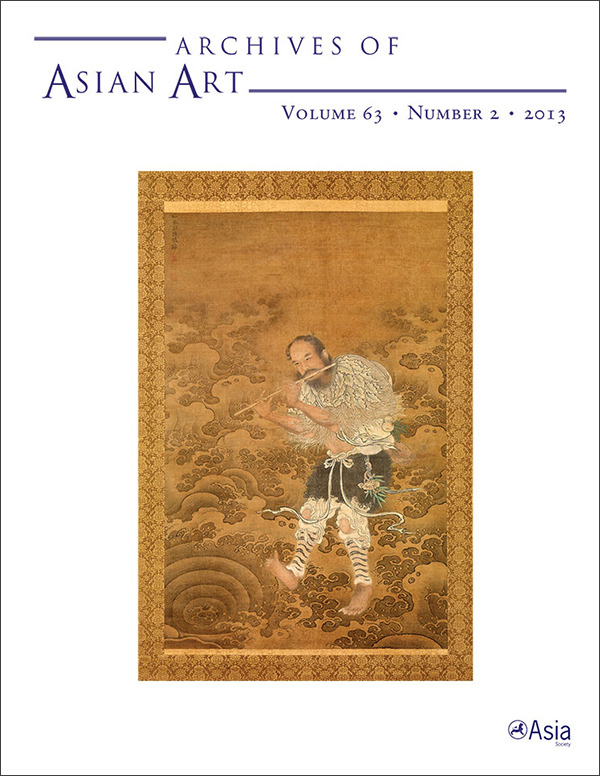 View the table of contents for Archives of Asian Art 63:2, at the journal's online site.